Being a quality driven organization, Greenstar Landscape Private Limited always provides the best quality of products and timely execution when it comes to soft landscaping services. Soft landscaping services refer to designing different living elements of gardens or lawns, excluding parts that are constructed. We have a team of professionals with years of experience in this field, which, while rendering these services, only use the tools that are made from top class materials procured from authorized and genuine vendors in the industry. These services are necessary for different areas and properties such as museums, schools, colleges, malls, farm houses and villas. To give you the best of soft landscaping, our team of professional gardeners offers an experienced approach when it comes to the selection of plants, trees and shrubs according to the particular season, including different beautiful and fragrant flowers such as jasmine, Lilli and dahlia etc. Soft landscaping services enhance the life of your plants and trees. We also take care of designing and beautifying potters to provide grace to the landscape. Our firm is engaged in presenting an attractive landscape to our valued customers within the limited period of time. Landscapes designed by us are duly checked and maintained. We plant fresh plants, prepare green lawns, install fountains and pools and make irrigation systems and designing pathways perfect. 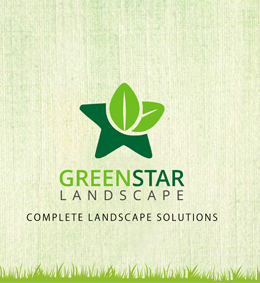 Greenstar Landscape aims to provide designs and innovations for landscapes that depict the personality of their owner. Landscaping can be fun when it comes to implementing new changes around you. By changing the look of one’s surroundings, one can bring a change in their lifestyle.